The hamlet of Breckles lies in peaceful countryside just south of Wotton. 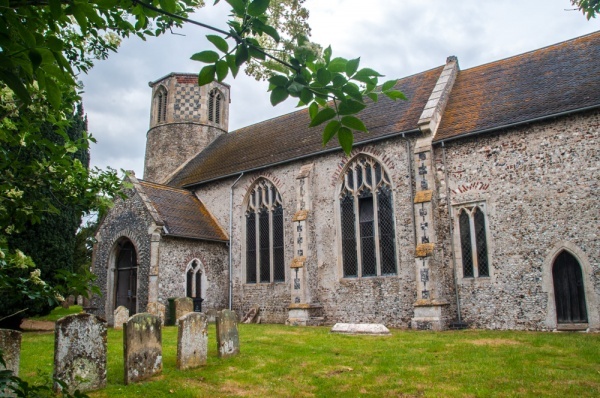 The parish church of St Margaret dates to before the Norman Conquest, and the parish was mentioned in the Domesday Book of 1086. The oldest part of the church is the impressive, tapering round tower, which dates to the first half of the 11th century. 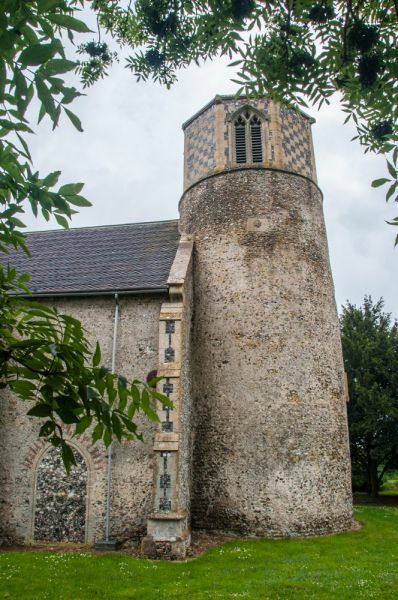 The Saxon lower tower is topped by a striking octagonal upper section of stone and flint, added in the late 15th century to fulfil a bequest by Peter Payn. The body of the church spans is a mix of 13th and 15th-century work. By far the most interesting feature of St Margarets is the superb Norman font. This is a square bowl set upon five round pillars. 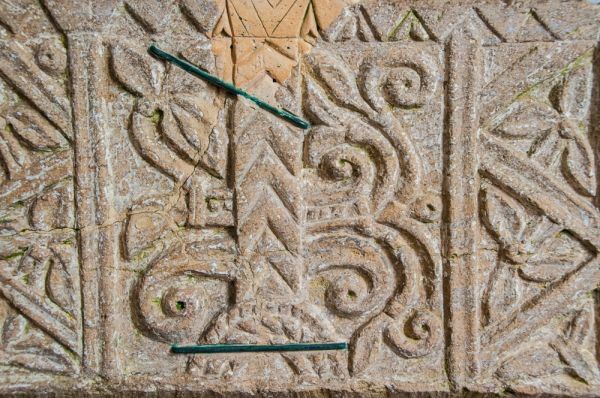 All four sides are beautifully carved in late Saxon or early Norman designs. The south and west sides are carved with a mix of foliage and carved heads. The carved heads are intriguing, in the style later known as Green Men, with vines issuing from the mouths of grotesque heads. 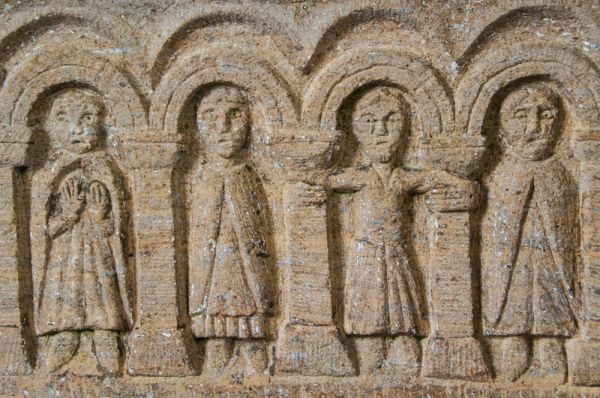 On the north face is a design of interlaced arcaded arches, while the east side shows four robed figures, possibly churchmen, standing under more rounded arches. One has his hands outstretched, another is shown at prayer. There is further carving on the top of the bowl. 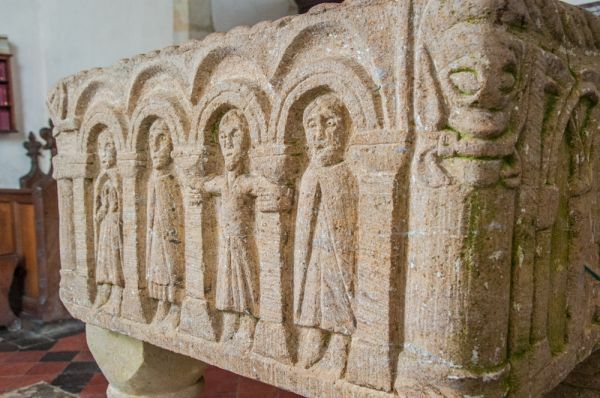 As a whole, the font is a superb piece of early Norman craftsmanship. 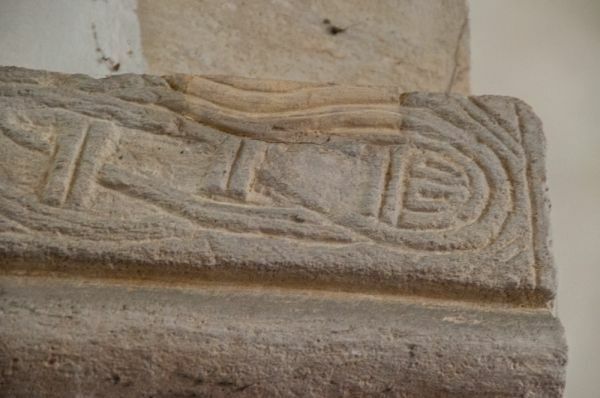 Just to the west of the font are further examples of carving on both imposts of the tower arch. 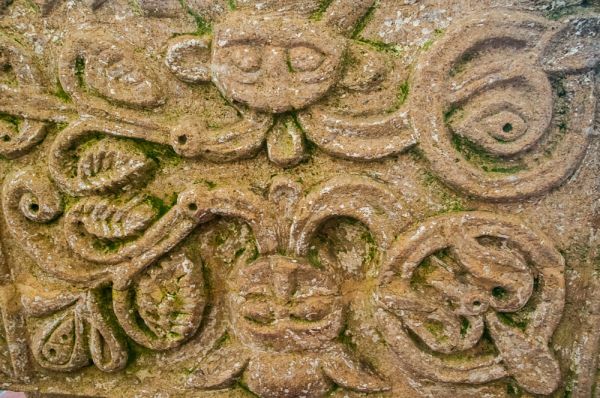 The carvings resemble twisted serpents mixed with Norman interlace patterns. 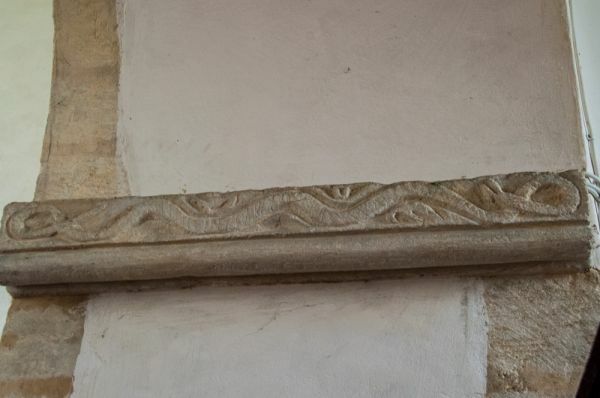 Other features of note in Breckles church include the chancel screen. This is a mix of medieval and later restoration work and features lovely floral carvings. 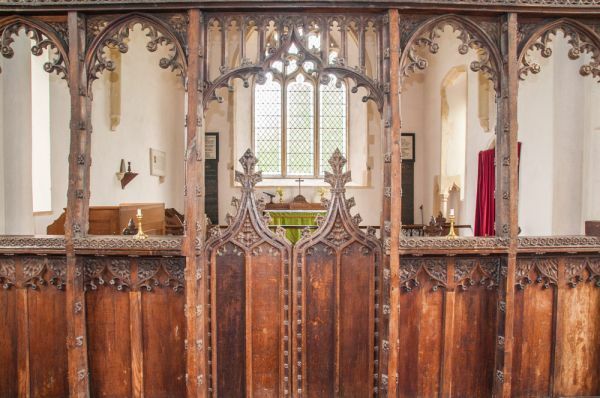 There are traces of gilding and paint still clinging to the wood, and, unusually, the screen retains its full height doors. 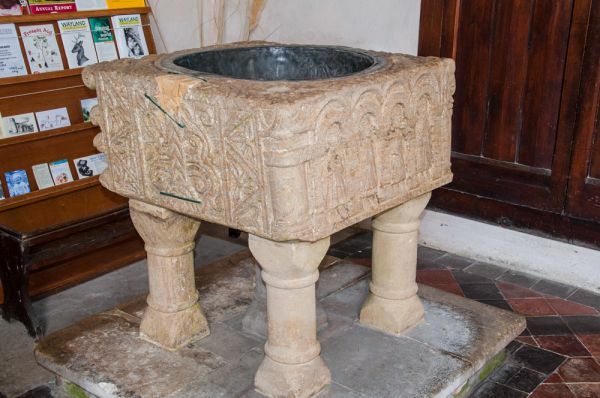 There is a restored 14th-century angle piscina in the chancel and a rather plain medieval sedilia, but it is the wonderful font you will remember after a visit to this attractive country church.